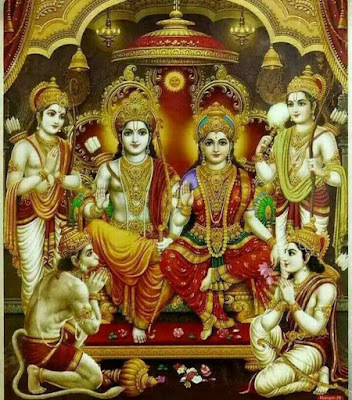 Happy Sri Ram Navami. Jai Siya Ram, Jai Jai Siya Ram (meaning Victory to Ram the “Blissful One” and to Sita or Siya - the embodiment of the purest feminine beauty and strength). On this auspicious day, I thought of posting this article with 108 names of Lord Rama. I was reading each name and the names filled me joy and contentment. And, then I reflected on some of the possible benefits of reading these names. Of course, to start with, the names of Lord Rama can make rocks to float in the ocean and each of these names signifies one speciality of the Lord. And, remembering these qualities brings all auspiciousness into one's life, driving away all the unwanted things. May that sharp arrows of that greatest and most compassionate archer, Lord Rama kill all those enemies called lust, anger, greed, hatred, jealousy, laziness etc. Om parasmai namaha -Obeisances to Sri Rama, the supreme lord. written by Sri Lakshmanacharya in a religious text titled Shri Nama Ramayanam. Today is the Birthday of my Wife. Few years ago, when I was still a Student doing Master’s here in Australia, I prayed to God for a Good job. Nothing happened. After a while, I prayed for help, guidance, motivation and devotion to God. Nothing happened. I then prayed to God for a good friend. A good family, nice children, a Home some good times, for someone who can guide me, motivate me to right things, be critical of me, one who would never leave alone me in any situation. The, I also prayed to God to send me someone who is talkative, because I am by nature very quiet person. Prayed for someone who is beautiful not only at looks but also in her heart. Then, I thought life is not like living in a Five-star Hotel where everyone is cordial, and everything is nice. It should be something interesting like a Bollywood movie. A couple of songs, some fights, some comedy etc. Anyway, nothing happened. And, then I forgot the whole thing and the time passed by. Then suddenly, last night I had a dream and saw God. I was quick to ask him, my dear God, I now remember so many prayers that I did for you and I had so many wishes. And you never fulfilled any of them? And, I started recollecting and reading from the Wish-list again. My dear God, I asked you for so many things, A good job, help, guidance in life, devotion to you, a good friend, a nice family etc. And, the Sweet Lord kept smiling all the while and finally said these words, "You had too many wishes and takes too much of my time to fulfill. That's why I thought over and gave you a Gift that fulfills all your wishes, desires and what not. I sent you, your wife and everything else followed her automatically". “Just to remind you that tomorrow is your wife’s Birthday”, saying this the Lord disappeared. My dream broke, and I woke up. My dear friends, devotee’s, family and relatives, please give your best wishes to my Wife for her good health and happiness. Stay blessed my dear Wife. Thank you very much for everything, your love, care, affection, Chastisement, tolerance, anger, for looking after us and putting up with us. May Lord Krishna bless you with many more years of service to him. Many more Happy returns of the day. PS:- This is something that I wrote on my Facebook page for my Wife. Many liked it and some asked me to post it here for wider audience. Yesterday was Gita Jayanti, the day Lord Krishna spoke Bhagavad Gita to Arjun for the benefit of the whole world.On this is special ocassion, lets read some of the glories about Bhagavad Gita from Varaha Purana. 1. The Earth said: O Lord! The supreme one! How can unflinching devotion arise in him who is immersed in his worldly life, O Lord? 2. Lord Visnu said: Though engaged in the performance of worldly duties, one who is regular in the study of the Gita, becomes free. He is the happy man in this world. He is not bound by karma. 3. Just as the water stains not the lotus leaf, even so, sins do not taint him who is regular in the recitation of the Gita. 4. All the sacred places of pilgrimage like Prayaga, etc., dwell in that place where the book, the Gita, is kept and where the Gita is read. 5. All the gods, sages, yogi, divine serpents, gopala, gopika (friends and devotees of lord Krsna), Narada, Uddhava and others (dwell there). 6. Help comes quickly where the Gita is recited and, O Earth, I dwell at all times where the Gita is read, heard, taught and contemplated upon. 7. I take refuge in the Gita and the Gita is my best abode. 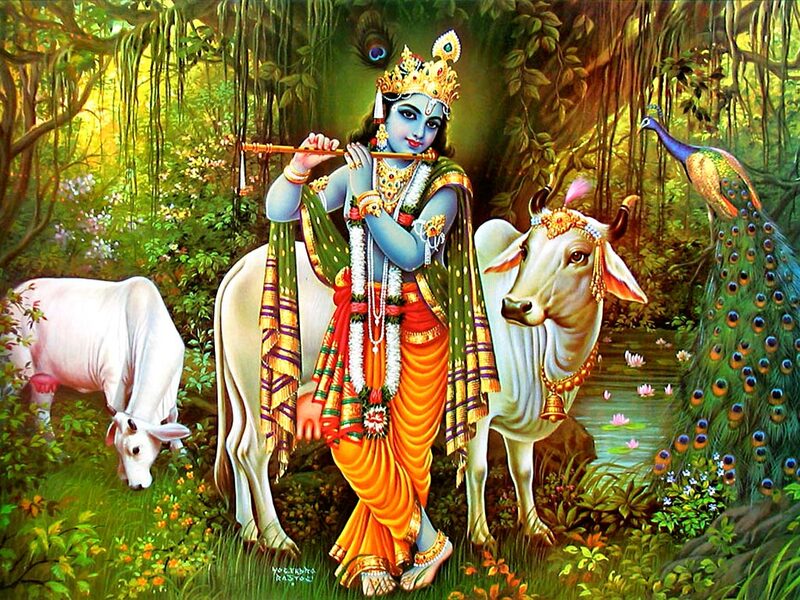 I protect the three worlds with the knowledge of the Gita. 8. The Gita is my highest science, which is doubtless of the form of Brahman, the eternal, the ardhamatra (of the sacred monosyllable om), the ineffable splendour of the self. 9. It was spoken by the blessed Krsna, the all-knowing, through his own mouth to Arjuna. It contains the essence of the three veda, knowledge of the reality. It is full of supreme bliss. 10. He who recites the eighteen chapters of the Gita daily, with a pure, unshaken mind, attains perfection in knowledge, and reaches the highest state or supreme goal. 11. If a complete reading is not possible, even if only half of it is read, he attains the benefit of giving a cow as a gift. There is no doubt about this. 12. He who recites one-third part of it achieves the merit of a bath in the sacred Ganga, and he who recites one-sixth of it attains the merit of performing a soma ritual. 13. That person who reads one chapter with great devotion attains to the world of Rudra and, having become an attendant of lord Siva, lives there for many years. 14. If one reads a quarter of a chapter or even part of a verse daily, he, O Earth, retains a human body till the end of a world-cycle. 15,16. He who repeats ten, seven, five, four, three, two verses or even one or half a verse, attains the region of the moon and lives there for ten thousand years. Accustomed to the daily study of the Gita, the dying man comes back to life again as a human being. 17. By repeated study of the Gita he attains liberation. Uttering 'Gita' at the time of death, one attains liberation. 18. Though full of sins, one who is ever intent on hearing the meaning of the Gita, goes to the kingdom of God and rejoices with lord Visnu. 19. He who meditates on the meaning of the Glita, having performed a lot of good actions, attains the supreme goal after death. Such a man should be known as a jivanmukta (sage liberated while living). 20. In this world, taking refuge in the Gita, many kings like Janaka and others have reached the highest state or goal, purified of all sins. 21. He who fails to read this Glory of the Gita after having read the Gita, loses the benefit thereby, and the effort alone remains. 22. One who studies the Gita, together with this Glory of the Gita, attains the fruits mentioned above and reaches the state which is otherwise very difficult to attain. 23. Suta said: This greatness or Glory of the Gita which is eternal, as narrated by me, should be read at the end of the study of the Gita and the fruits mentioned therein will be obtained. Thus ends the Glory of the Gita contained in the Varaha purana. 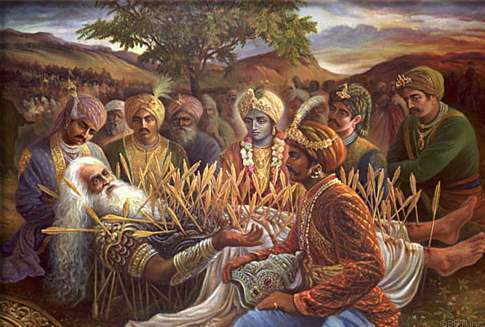 The last 5 days of the month of Kartika are traditionally known as the Bhishma Panchaka or the Vishnu Panchaka. Grandfather Bhisma fasted for these five days, preparing to give up his life. Grand Sire Bhisma had this benediction of Iccha Mrtyu or ability to die and leave his body when he wished to. The pastime of passing away of Bhisma explained in the Canto 1, Chapter 9 of Srimad Bhagavatham is a wonderful narration where, there is an assembly of various sages, demigods, Pandavas to witness this important and amazing event.Even and Lord Krishna himself was personally present to give his darshan. Thus, Bhisma gave up his physical body by fixing his gaze and attention the Supreme Lord Krishna and thus achieving the highest perfection of life. Bhishma Panchaka begins in the month of Kartik,on Ekadasi and ends on Purnima (This year starting from today 19th Nov to 23rd Nov). In the Hari BhaktiVilasa, it is said that if one is capable, one should observe fasting from certain foodstuffs on the Bhishma-panchaka for the pleasure of the Lord. This is optional. "The fast should begin by remembering Bhismadeva on the Ekadasi day and should end on Purnima [the full moon]. The Padma Purana say that one pleases the Lord and makes spiritual advancement by such austerities. By following these days of Bhishma Panchaka fasting one gets the benefit of all the four chaturmasya fasting if one had been unable to follow the same. The fasting starts on Ekadasi Day which is 19th November (Monday) and will continue until the 23rd November Rasa Purnima Day (last day of caturmasya, last day of Damodara month). The fasting is broken at sunset (or at moon rise) on Rasa Purnima day. 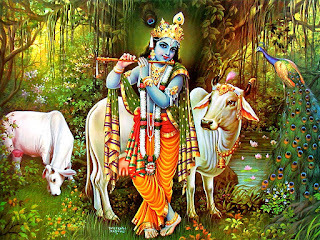 Generally, it is recommended to do full fast on Ekadasi and then the following days fruits and roots fasting. Or one can do all the days with fruits and roots fasting. Devotees can choose whichever level of fasting as is convenient to them. It should not disturb their normal devotional service(s) and daily sadhana. One can consume products of the cow (pancha-gavya) each for each day. If one can't follow level 1, one can take fruits and roots. Fruits with many seeds should be avoided like guava, pomegranate, papaya, cucumber etc. Boiled potatoes, raw banana and sweet potato can be taken boiled or baked. We can use sea salt for taste. Cashewnuts, raisins, dates can be taken. We shouldn't take milk and milk products in this level of fasting. Coconut water and grated coconut can be taken. If one can't follow level 2, one can take "Havishya." References: Padma Puraana, Brahma-khanda, Chapter 23; Skanda Puraana, Vishnu Khanda, Kaartika Maahaatmya section, Chapter 32; Garuda Puraana, Puurva Khanda, Chapter 123. The following are ingredients that can be taken during Bhisma pancaka. Havishya is usually made with rice and mung dal. For those following caturmasa from ekadasi to ekadasi, technically their Kartika masa is over by ekadasi, so they can take mung dal in their havishya. However, most devotees follow caturmasa from purnima to purnima, so mung dal would not be allowed in the havishya for Bhisma Pancaka. No oil is allowed. * Rice which is unparboiled - raw or polished, unpre-cooked. * Whole milk with cream from a cow. Those who chant "Ganga, Ganga, Ganga" get the benefit of bathing in the holy river which can be done from anywhere. Devotees can bathe in any river, lake or the ocean. On the first day, one must offer padma (lotus) flowers to the feet of the Lord. On the second day, one must offer bilva (wood-apple) leaves of the thigh of the Lord. On the third day, one must offer gandha (scents) to the navel of the Lord. On the fourth day, one must offer java flower to the shoulders of the Lord. On the fifth day, one must offer malati flower to the head (siro-desa) of the Lord. 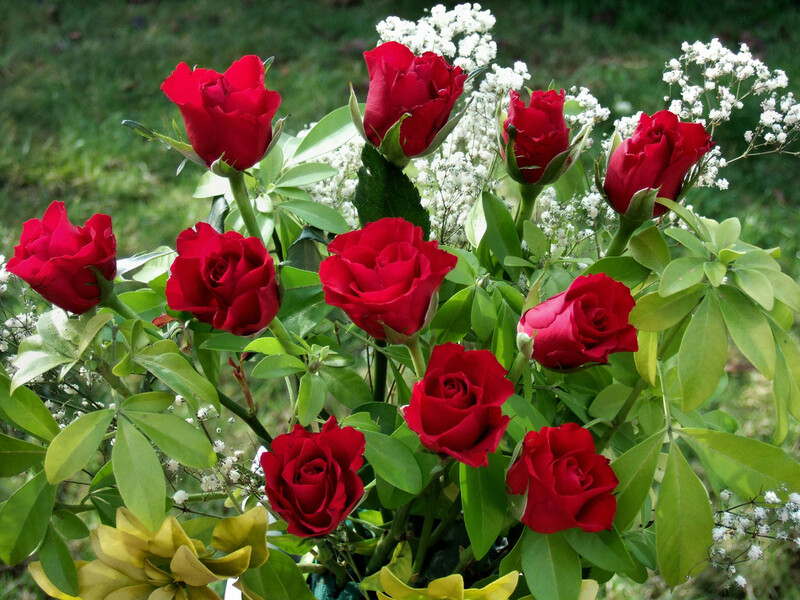 When there is an overlap of days (tithis), then the flowers for the overlap days can be offered on the same day. ** If you do not have the flowers, then mentally offer the specified flower to the specified place of the Lord. *Reference: Garuda Puraana by HH Jayapataka Swami ISKCON. Festival of Diwali or Deepavali refers to a row of lamps, which symbolises victory of light over darkness, knowledge over ignorance, and good over evil. Diwali is a five-day festival and the third day, Chaturdashi also called as Naraka Chaturdashi is celebrated is the most important day. The Hindu scriptures mention that on this day, the demon Narakasura was killed by Lord Krishna accompanied by his wife Satyabhama. It is also said that on the day of Diwali, Lord Krishna as a baby boy performed the Damodhara Lila of mother Yashoda tying him to a grinding stone and Krishna than dragged the grinding mortar with him to pulldown the two gigantic trees in his backyard, delivering the two sons of Kubera, Manigriva and Nala Kubera who were cursed by Narada Rishi and standing as trees. Of course, before all this there was an amazing pastime of Lord Krishna breaking the pots of butter, yogurt, throwing them everywhere, feeding the monkeys. And then he started running away like a child in fear of mother Yashoda who was chasing him with a stick in her hand. Queen Kunti explains that this pastime is unconceivable to her because, the person whom by seeing even the fear personified becomes fearful the Yogis and Jnanis trying to catch him with their practice of Yoga, Pranayama and knowledge and unable to do so, such a person is running away in fear. And, when Krishna seeing his mother is getting tired, finally allows himself caught by her. The pastime continues, when Mother Yashoda tries to tie baby Krishna with a rope, it was short by two fingers. And, she added more and more rope from the neighborhood. And, seeing her determination Lord Krishna again, allows himself from abdomen to be tied to the grinding stone. The Acharyas explain that the two fingers signify, devotee’s determination and the Lords Mercy. It is also mentioned in the scriptures that Diwali is the day, when Lord Ramachandra along with Lakshman, Sita Mata, Hanuman returned to his Kingdom of Ayodhya. The people welcomed Lord by lighting up their houses with lamps. Today is Bahulastami, appearance of Radha Kunda. The eighth day of the waning moon of Karttik month, or Karttika Krishna ashtami, is also known popularly as Ahoi Ashtami or Bahulashtami. 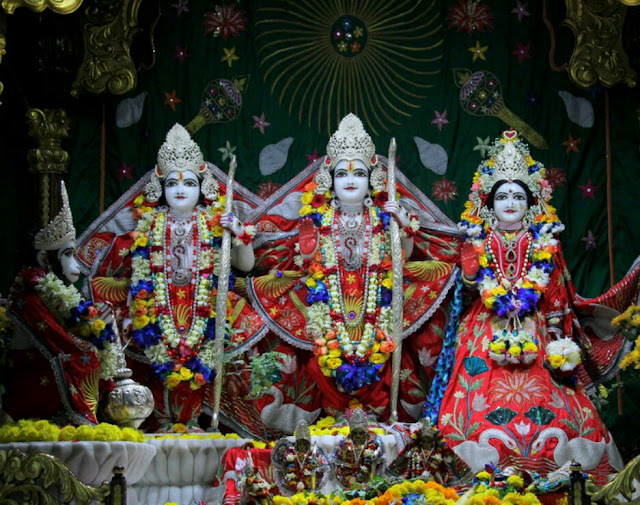 Its significance for the community of Radha-Krishna devotees is that it marks the appearance of Shri Radha Kund, which is said to be the holiest of holy spots and the special scene of Radha and Krishna’s divine pastimes. After Krishna had killed Arishta, Krishna came as usual to meet Radha and her sakhis to enjoy his pastimes with them. However, being provoked by Lalita and the others, she said she could have nothing to do with him, as he had become impure from the act of killing a bull. The bull, after all, is the very symbol of dharma. When Krishna asked what he could do to be free of his sin, she said that nothing short of bathing in all the seven sacred rivers would be effective. Yogeshwar Krishna, showing off for his beloved, pushed his heel into the ground and made a large hole. Then he called all the sacred river, who appeared in their personified forms and filled the hole to make a beautiful bathing pond. And so Krishna took his purifying dip and the pond was given the name Shyama Kund. With that, the Radha and the gopis became a little arrogant and said, “You have your kund, so we will have ours. Our Radha is no less powerful than you!” Then, remarking the huge cavity created by the bull’s hooves on the western side of Shyam Kund, they decided to make her kund there. They broke their bangles to make tools for digging and began to make their own hole. Within 48 minutes, Radha and her friends were finished; the hole was ready but there was no water in it. Krishna and his friends watched and laughed at the gopis predicament. Nevertheless, Krishna generously offered to fill Radha’s kund with water from his tank, but Radha and the gopis, still proud, refused. Lalita then said, “Why don’t we form a bucket chain to the Manasa Ganga and fill it up with water from there?” Krishna jeered at them on seeing the dry hole in the earth. Radha defiantly said they would fetch water from the Manasi Ganga not far from there to fill the pond. This, however, was a daunting task. 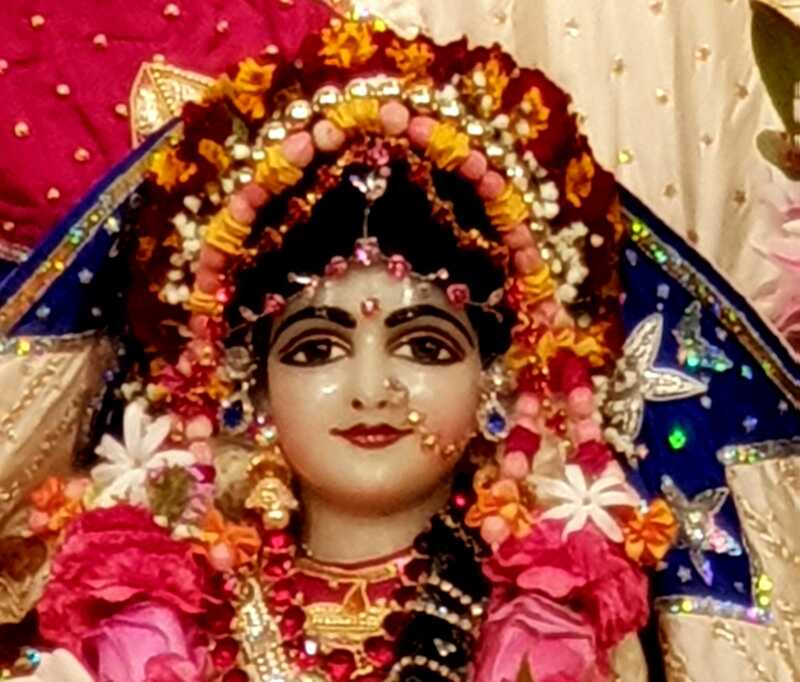 Then, on Krishna’s order, all the holy tirthas who had come to fill Shyam Kund appeared and offered choice praises and obeisances unto Sri Radhika. All the personified holy rivers prayed before Radha to allow them to fill her pond. She consented, and Radha Kund was born. And so, Krishna broke the dam that separated the two ponds and their waters merged. Hearing about the appearance of Radha Kund, Yogamaya Paurnamasi Devi called Vrinda Devi and instructed her to plant various trees and vines on all four banks of the kundas. According to her own wish, Vrinda Devi also constructed jewelled ghats, i.e., steps leading down to the water, in order to facilitate Radha and Krishna’s pastimes. She arranged for beautiful kunjas to be laid out with different kinds of trees, vines and flowers. 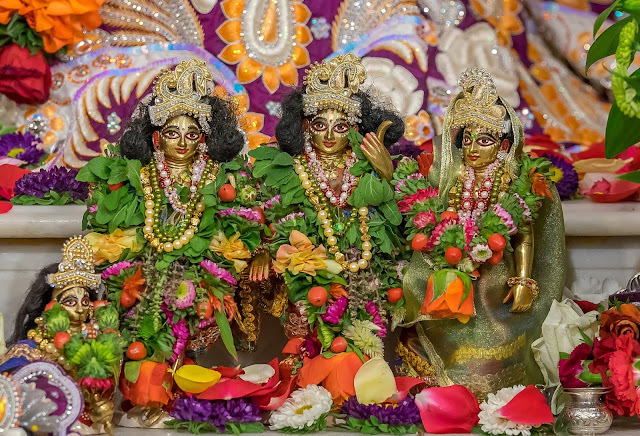 These kunjas were assigned to Srimati Radharani’s eight principal sakhis. On both sides of each ghat she had charming wish-yielding kalpa vriksha trees planted. Singing male and female parrots, pigeons, cuckoos and peacocks are always sitting on the branches of these trees, and the kundas are filled with golden, yellow, green, red, blue and white lotus flowers. 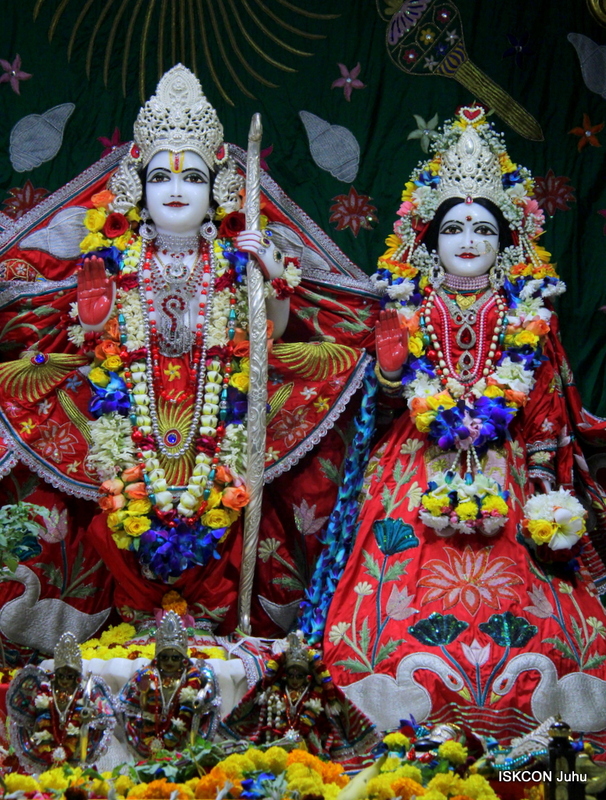 This Sri Radha Kund is the place where Sri Sri Radha Madhava have their most confidential eternal midday pastimes, as described at great length in the Govinda Lilamrita and other such texts. Besides playing their water sports here, they swing, play at pash khela, drink mead and have their noontime meal, visiting the kunjas of the sakhis which encircle the kund. For years Radha Kunda and Syama Kunda were lost and no one knew exactly where they were located. When Sri Caitanya Mahaprabhu came to Vrindavana in 1515, he saw two fields under a shallow covering of water near Arit village, which were known as Kali Khet and Gauri Khet (black field and white field). Recognizing them as Krishn’s dearest place of pastimes, he bathed there and experienced the ecstasy of divine prema. When Raghunatha Das Goswami first came to do bhajan at Radha Kund, the two tanks were only four meters by four meters in size. Legend has it that one day Moghal emperor Akbar was passing by Arit village with his army. The soldiers and their animals and horses, camels and elephants–were very thirsty. Although all the soldiers and beasts slaked their thirst by drinking from the kunds, Akbar was amazed to see that the water level did not descend. Another legend recounts that a rich man named Sampanna went to Badrinath to offer Lord Narayana a large donation. In a dream, Krishna told him to go to Radha Kund and give the money to Raghunath Das to renovate the kundas. Jiva Gosvami purchased the land and supervised the project in around 1554.